Cryptocorynes are an interesting group of plants. 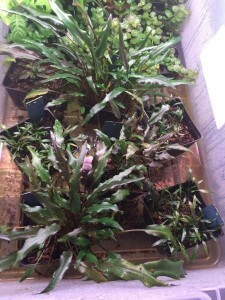 They are largely easy to keep and make great low light plants for the planted aquarium. 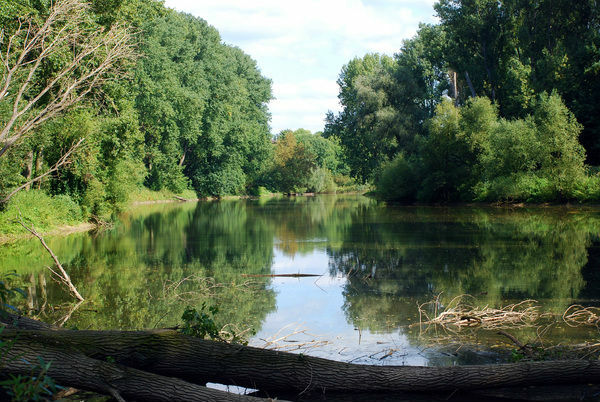 Naturally they grow along shaded stream banks and shallow water as they are really mostly semi aquatic plants. There is a wide variety of species available to the aquarium hobbyist and terrarium keeper. Since they are semi aquatic they can live underwater submerged, or above the water level in dry a state called emersed. When grown emersed they must have moist soil and higher levels of humidity. In the rainy season it is common for them to be underwater but as the streams seasonally dry up they live throughout the dry season above the waterline. Melting disease, or crypt disease is an adaptation to this natural occurrence. 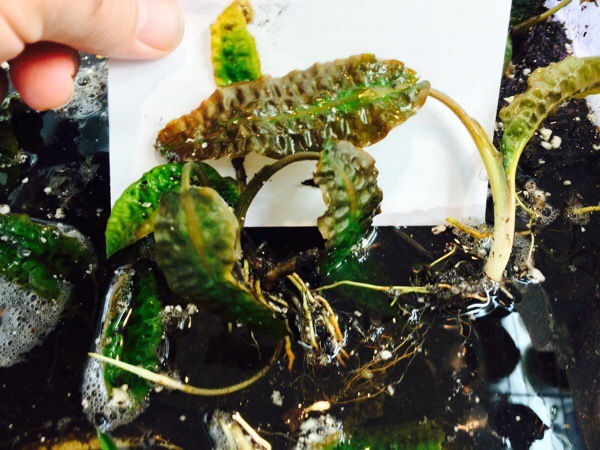 Instead of suffering through a stressful time when changing the foliage from submerged to emersed the cryptocoryne simply melts off its leaves. 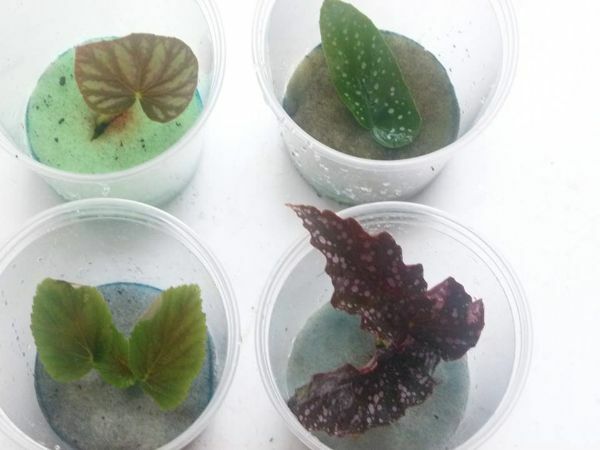 This melting helps the plant survive harsh transition by giving up its foliage to grow suitably for the environment whether it be underwater or dry. A healthy plant will come back from its rhizome if left undisturbed. Luckily there is a wide range of sizes that these plants grow in. Some of the smaller species are suitable for the foreground like C. parva. Larger species like C. usteriana can become quite large and make nice background plants. Of course all of this is depending on the tank size you are using them for. There are some amazing plants like C. striolata and C. Wendtii “Florida Sunset” that are very colorful and worth the addition to the tank. Remember that the crown of the rhizome must be planted slightly above the substrate to avoid it from rotting. Light requirements are fairly low for most of the cryptocorynes and they can be grown with much less light than many other aquarium plants. This is a benefit to budget minded aquarists and to those just starting out. 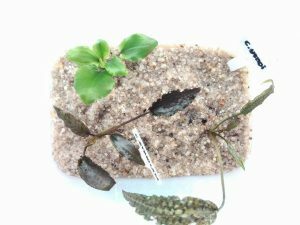 Cryptocorynes can be kept without a high end lighting system. With higher lighting they do best with diffused light like that from taller stem plants shading them. Healthy plants can be grown rather easily with a moderate fertilization regimen. Cryptos are good root feeders but will also benefit greatly from fertilizing the water column. The red colored cryptos do well with iron and other micronutrients. Large mother plants can benefit from root tab fertilizers like the ones Biotope One made with clay and dry fertilizers. Liquid fertilizers and dry dosing the water column also produces great results. Cryptocorynes can be grown with or without the addition of carbon dioxide. Substrates for these wonderful are pretty simple as well. They can be grown in the numerous planted tank substrates, as well as coarse sand and fine gravel, and dirted tanks capped with sand. 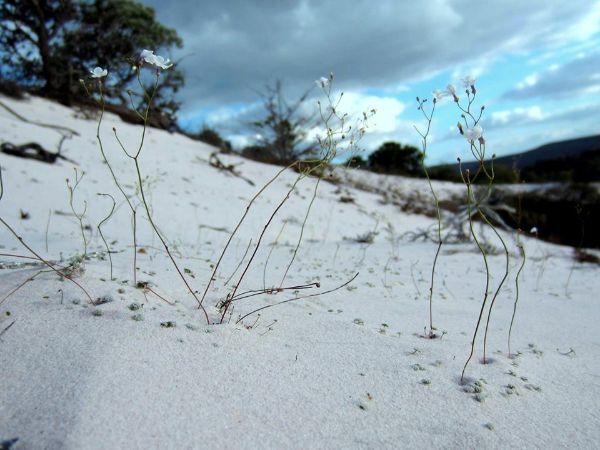 There are two main types coming from different environments and optimum growth can be attained by keeping limestone or clearwater species together or blackwater peat loving plants together. Most will do well however in a substrate previously mentioned. Terrariums can also be enriched with cryptocorynes. 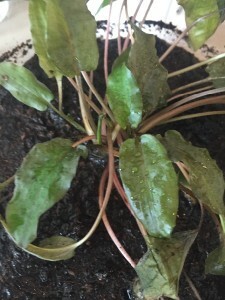 Basic requirements are moist roots and higher humidity for emersed growth. 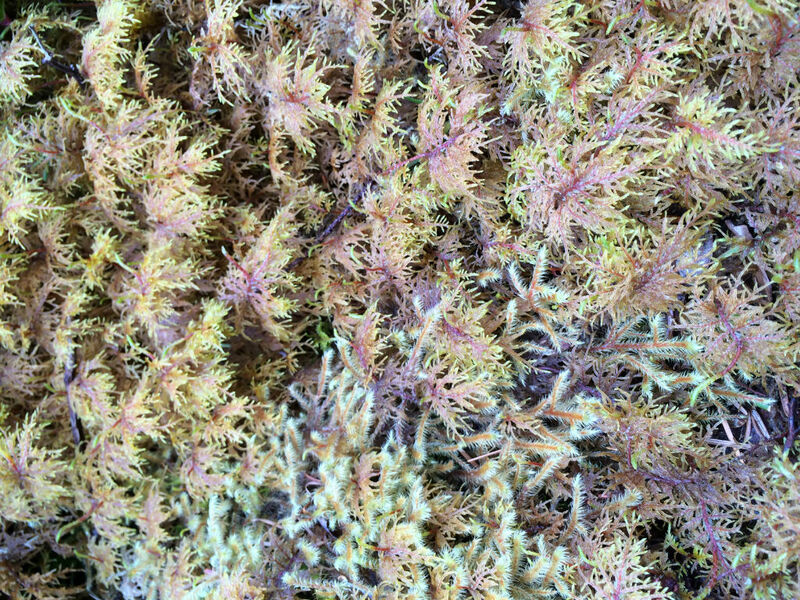 A low lying area that accumulates more water in the substrate will suit most cryptocorynes in enclosures. When first planted in the terrarium most submerged living plants will melt back. Leave them and let them grow back from their rhizome and they should adapt and thrive well. This is a highly overlooked plant for the terrestrial terrarium. Biotops and wabi kusa lend themselves quite well to the emersed growth of cryptocorynes. When kept in an understory of taller emersed stem plants to keep humidity trapped in the foliage they make great displays. Since they don’t need high light they can be kept in diffused lighting on a windowsill out of direct sunlight. 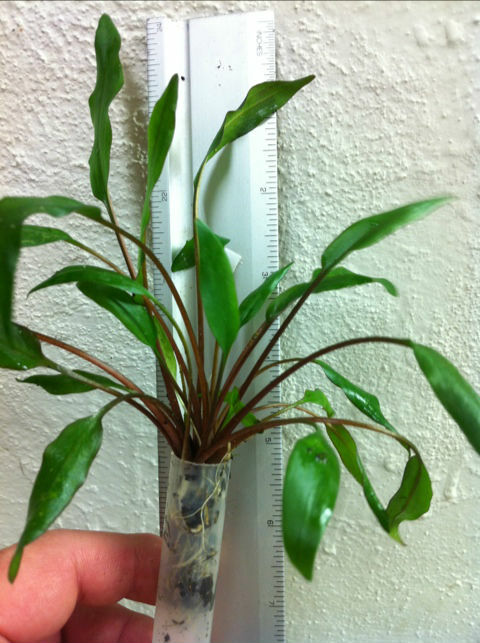 Cryptocorynes are a great plant for the advanced hobbyist as well as the beginner. It offers something for a wide variety of hobbyists from aquarists, to terrarium keepers, to ornamental displays on a desktop or windowsill. They are versatile and adapt well to their environments for what most people think of as strictly an aquarium plant. They are widely available so there is little reason not to search them out and add them to your collection.